Windhager is helping the historical village of Matfen, Northumberland, to reduce its carbon footprint while saving money on fuel costs with the installation of a new biomass boiler system. Situated within the impressive Matfen Estate, five houses, the estate office, a shop and the village hall will all benefit from biomass heating. In a commitment to green energy being used as much as possible, the Estate has embarked on a multi stage project with the eventual outcome of significantly reducing the carbon footprint of all its properties. Forming stage 2 of the project, three BioWIN 60 kW wood pellet boilers, installed by Biomass NorthEast, in a cascade system will financially benefit the tenants with lower fuel costs and higher heating efficiency while it also qualifies for the government’s RHI scheme. 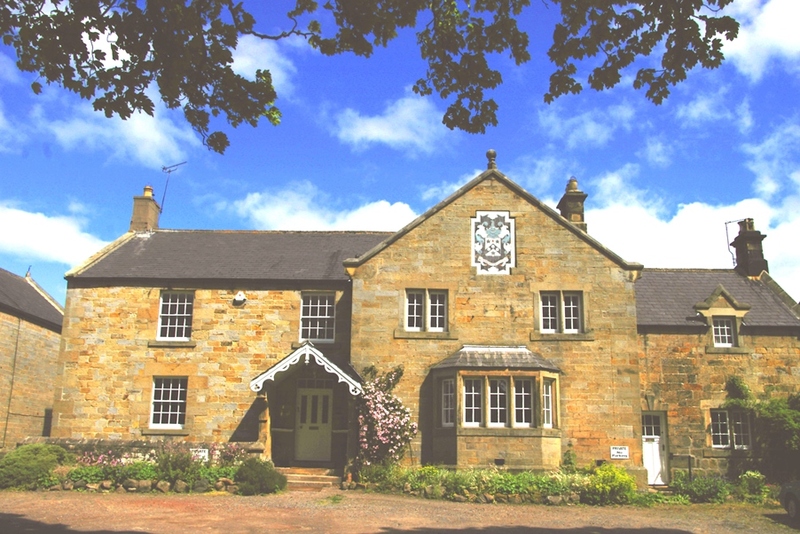 Matfen village, located in an area of outstanding natural beauty, was founded and built in the 1830’s around Matfen Hall, the seat of the Blackett family built on the remains of an earlier Jacobean manor. The estate consists of a total of 61 let residential properties; some commercial lets and nine tenanted farming businesses. After a brief period of being occupied by the Leonard Cheshire Foundation to accommodate and care for severely disabled adults, Matfen Hall is now a 4 star Hotel and Golf Club resort with 53 rooms and spa facilities run by Sir Hugh Blackett and his wife Anna. The estate also includes the 14th Century pele towered Halton Castle and a three mile length of Hadrians Wall complete with the remains of the Hunnum Roman Fort. The estate had started the transition to greener energy with both Matfen Hall and Halton Castle being heated using biomass boilers that are supplied with wood chips from the estates woodland. This has been progressed upon with the installation of the three BioWIN wood pellet boilers to provide heating for the selected properties in Matfen village. The Windhager biomass system will cost around 50% less a year to fuel than the previous system as well as dramatically reducing the annual carbon emissions by 130 tonnes. The 60 kW BioWIN boilers have been installed in a cascade system which allows maintenance to be done without having to shut down the entire system as well as increasing its ability to cope with the fluctuating heating requirements with wide modulating output ranges for the highest efficiencies. A 3000 litre AccuWIN buffer tank is fed from the boilers to ensure a large constant stored supply of hot water for the domestic and commercial properties needs and maximising efficiency by reducing wasted hot water production. The wood pellet storage is situated next door to the boilers with each BioWIN being fed by individual delivery systems that contain 8 suction probes. A total of 24 suction probes allow the storage hopper to have a flat base and therefore offering 30% more pellet storage space than containers with a funnelled bottom. The installation benefits from a remote control system designed by Windhager to allow for easy adjustment of heat output while also simplifying the reading of meters and billing for the individual properties the boilers serve. Jamie Armstrong of Biomass Northeast commented on the project, “The aim of the project was to give the tenants a cheaper source of heating with an ultimate goal of eventually achieving a carbon neutral community. The BioWIN boilers were specified by myself as I have worked with many biomass boilers for various types of installations and have found that Windhager are superior to other brands in quality, design and the back up service. The installation at Matfen went through perfectly and the client is very happy with the end result”.